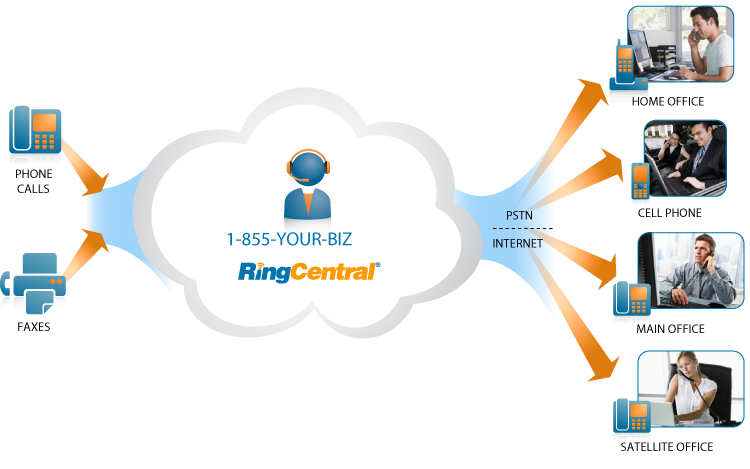 Whether you call it a cloud-based, VoIP, or a hosted PBX solution, in a nutshell, it means the phone system lives in our data centers and is delivered to you over the Internet. professional image of a Fortune 500 company. Connect multiple offices and remote employees in one office phone system. Share your presence status – busy, available or on hold – with your admins and colleagues. Customize user and department call handling rules. Change flexible call and fax routing rules anytime. Set custom business hours for any user or department. Manage settings online with uniquely simple controls. Touch manage settings on your smartphone or tablet. Manage all locations and users from one account. Use our Plug & Ring preconfigured desk and conference VoIP phones. Turn your smartphone or tablet into business phones with free apps. Take and make calls on your computer with a softphone.